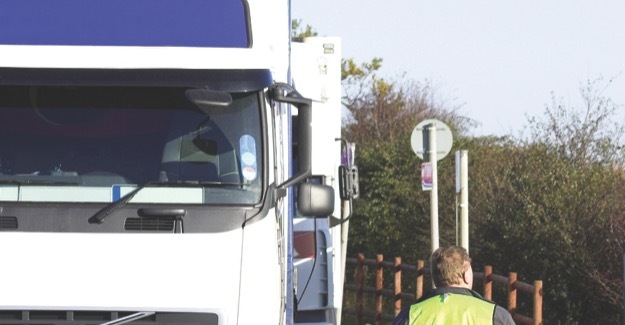 The RAC Foundation has given a cautious welcome to the proposed introduction of lorry road user charging announced today by the Government. The Department for Transport is suggesting that lorries will have to pay £10 a day up to a maximum of £1,000 a year to drive on the UK’s roads. Most domestic hauliers will be able to offset the charge by payind reduced levels of VED. “The Parliamentary Under-Secretary of State for Transport (Mike Penning): The Department for Transport has today launched a consultation on a proposed road user charging scheme for heavy goods vehicles (HGVs) of 12 tonnes and over. This is one of the commitments in the Coalition Programme for Government. “The proposal’s primary objective is to ensure fairer arrangements for UK hauliers. UK-registered HGVs already pay tolls or user charges on motorways and, frequently, other roads in most EU Member States. Save on some specific pieces of infrastructure (the M6 Toll and various bridges and tunnels), there are no tolls or user charges in the UK. As most foreign operators currently purchase their HGVs’ fuel outside the UK, they therefore contribute nothing towards the cost of our roads. “A scheme for HGV road user charging cannot discriminate between UK-registered vehicles and vehicles registered elsewhere in the EU. It will therefore apply to both UK and foreign-registered HGVs. It must also comply with the Eurovignette Directive (Directive 1999/62/EC as amended by 2006/38/EC and 2011/76/EU) which sets out a framework of rules for tolls and charges, including maximum daily rates for the latter. “We propose a simple time-based charge, applying to the use of any road in the United Kingdom, meaning that a five axle HGV of 38 tonnes or more would pay £1,000 a year or £10 a day. The Eurovignette Directive’s maximum permitted charge is currently €11 per day, although by the introduction of the charge this is likely to have been uprated by inflation to €12 (about £10 at current exchange rates). The precise level of charges will depend on exchange rate movements and inflation between now and the implementation date later this Parliament. UK hauliers would pay an annual (or six months) charge for each HGV at the same time and in the same transaction as they pay its Vehicle Excise Duty. This would avoid extra administration costs for UK business. Foreign hauliers could pay daily, weekly, monthly or annual charges. “As VED and the charge are paid 12 months in advance, UK hauliers would begin to pay the user charge as they renewed an HGV’s VED from eleven months before the introduction of charging for foreign vehicles. “The Government will also come forward with measures to offset the additional user charges for UK hauliers, through reductions in taxes, duties or charges they currently face, or through appropriate spending measures. The Chancellor has discretion over tax and spending measures, but the most likely balancing measure in practice will be a reduction in VED towards minimum EU levels. “The overall cost burden will not increase for the vast majority of UK-registered vehicles. We believe that, if we reduce VED to levels at or just above the minimum rates set out in the Eurovignette Directive, around 94% of the current UK vehicle fleet would be no worse off, with 98% paying no more than £50 a year extra. “Non-payment of the user charge would be a criminal offence, which could result in a fine imposed by the courts. The user charge would be enforced by DVLA records, ANPR cameras and checks by the Vehicle and Operator Services Agency (VOSA) at the roadside. VOSA would also be able to issue fixed penalties on the spot to non-compliant drivers (and take financial deposits from drivers based outside the UK). “We are consulting on whether the scheme as a whole should be implemented, as well as on the details of the proposed charging bands, how the scheme will be administered, payment methods, enforcement and support for UK hauliers.